It takes a lot of courage to walk away from your profession to pursue another one. Particularly when that profession is emergency medicine. After 20 years of clinical practice in both pediatric emergency medicine and pain management…Dr. Amy Baxter walked out of the ED last month for the final time. One might suspect her decision was due to burnout or impulsivity. However on the contrary, Dr.Baxter, is leaving a successful clinical and academic practice to pursue a full time profession as a business woman. A role she herself, never expected to fulfill. 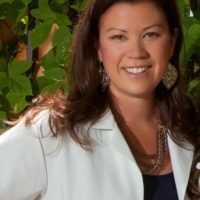 Dr.Amy Baxter’s entrepreneurial story goes back to 2001 when she took her then four year old son Max, to his pediatrician for routine vaccinations. Baxter, who had spent part of her career doing research in pain management, found the experience to be frustrating and ironic. She believed she was well prepared to help her terrified son endure his shots. She had prepped him with topical anesthetic creams, and had mentally prepared him on what to expect. “I even brought a juice box and a book with hunt-and-find pictures to distract him,” she says. But things did not go well. When the nurse plunged the needle into his arm, he initially didn’t cry or react at all. But upon leaving the doctor’s office, he vomited all over the floor. “After that, every time we had to go to the doctor, he would get physically ill,” Baxter says. “There I was, a pediatric emergency medicine physician and pain specialist, and I couldn’t even protect my own kid. What were other parents going to do?” At first, she was upset with herself for her inability to protect him from such a traumatic experience, but gradually her frustration turned into a determination to find a solution to help him and others like him with needle phobia. She had been noodling on an instant solution for pain for a year or so. One morning driving home from an night shift she noticed that the wheels of her car were out of alignment, causing her steering wheel to vibrate. As she pulled into her driveway, she noticed that the vibration had completely numbed her hands. There Baxter had her “AHA!” moment. She ran inside the house, grabbed a hand held massager and asked Max to sit down for an experiment. When the vibration helped, but not completely, her Eagle Scout husband suggested frozen peas in addition. She pressed the frozen peas against her son’s arm with the massager, switched it on and pinched his skin a few inches below the vibrating massager. He didn’t feel a thing! She then tried it on her two other kids. It worked so well that they didn’t even feel a pinch hard enough to leave a small mark. Her husband, Louis, drew a cute little bumblebee face on the massager, and the “Buzzy Bee” was born. She spent the next few years developing a prototype for the Buzzy bee, all while continuing her clinical hours in the ED, academic responsibilities of research and lecturing. She then spent every spare moment of her day, chasing her three kids, and working on her new found hobby. In 2007, Baxter applied for and received grant money to do her first controlled scientific study. In the next two years, she experienced many ups and down, disappointments and financial stressors trying to make her prototype a reality. In 2009, Baxter got her first big break by receiving a $1 million grant from the N.I.H. to develop Buzzy. With this, Baxter was able to study the impacts of pain from injections and became an advocate for pain relief and needle phobia. Later that year, Baxter launched her company M.M.J. Labs, named after her kids—Max, Miles and Jill. Today, Baxter is one of a growing number of female entrepreneurs who is revolutionizing healthcare. Nearly a decade later, Buzzy has been adopted by more than 5,000 hospitals and clinics and by more than 70,000 users. Beyond children, Baxter also markets her wearable devices to adults with conditions requiring frequent injections: diabetes, IVF, multiple sclerosis and Crohn’s disease. About half of the company’s U.S. sales are to hospitals and clinics, and the other half are to individual patients on e-commerce sites. Total sales reached nearly $1 million in 2015, and the company is negotiating its first licensing deal.